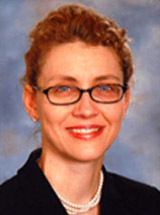 Dr. Carrie Sims is Associate Professor Of Surgery at the University Of Pennsylvania. Dr. Sims completed her surgical training at the Massachusetts General Hospital in 2003. She was appointed as Instructor of Surgery at Harvard Medical School (2003-2004) and completed a fellowship in Laparoscopic Surgery in 2004. She subsequently trained at the Hospital of the University of Pennsylvania and completed a fellowship in Traumatology and Surgical Critical Care. Her research interests include structural racism, healthcare disparities, and gun violence. As a founding member of Surgeons For Social Responsibility, she is committed to partnering with communities to advocate for common sense gun legislation and social programming that addresses the social determinants of urban violence.